Unfortunately, there are no constant budgetary resources available that would secure the continuity of Karupelv Valley Project. Yet, the distinctive feature of this project is its unparalleled longevity. Therefore, the project heavily relies on sponsors and generous support from private donators. 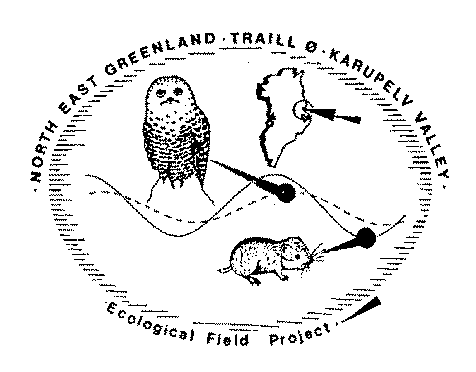 In order to safeguard its existence the founders of the Karupelv Valley Project came up with an unconventional, yet effective idea for funding: Souvenir items for collectors of polar covers. 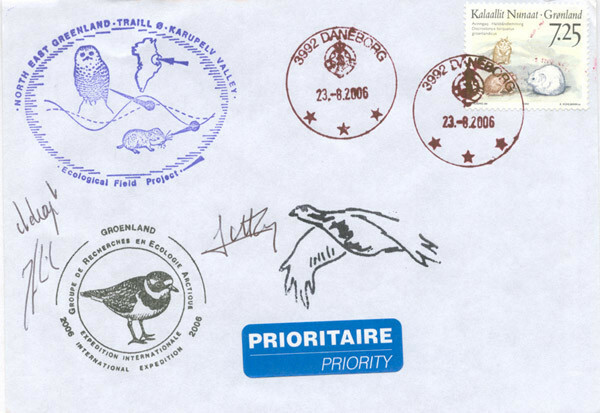 The unique envelopes are illustrated with the expedition logos as well as an annually developed and elaborately designed project expedition cachet. 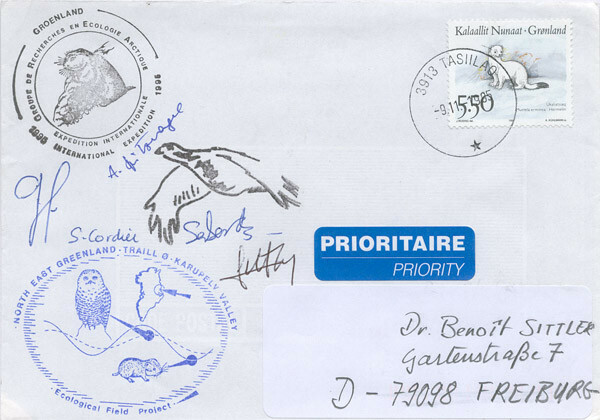 All mail is hand-cancelled with pictorial cancellation stamps in Greenlandic postal facilities. By supporting the Karupelv Valley Project, collectors of philatelic items can add an exquisite and unique flair to their stamp collection. Subscribers will also receive a brief outline on the expedition. Examples of what such souvenirs will look like are provided below. For subscriptions, European Standard Envelopes or commercial envelopes in the size format DIN C6 (11 cm x 16 cm) or DL (11 cm x 22 cm) should be given priority. 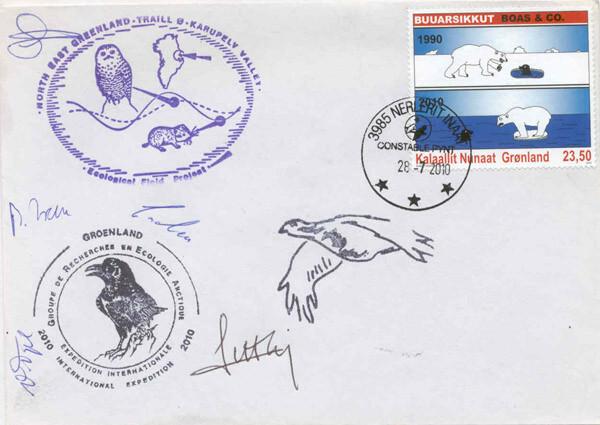 Please make sure, that there is enough space left for the illustrated cachets as well as for the Greenlandic stamps when writing your address on the envelopes.